Junior Kaylynn VanBuskirk has discovered a whole new meaning to creativity. Her artistic talents began at a young age, and she now designs and creates costumes for theater and her friends. She has participated in theater programs since she was three and began hand sewing when she was eight and got experience by making Barbie doll dresses. Though she is fairly new to costuming, VanBuskirk picked up the process fairly quickly, and has gained lots of experience through the process of trial and error. “I’ve always had an interest for how things are made and a fascination for clothing,” said VanBuskirk. While she takes a lot of costume inspiration from Disney, Kaylynn would describe her style as half princess, and half steampunk and Victorian style. VanBuskirk made twelve costumes this past Halloween for herself and her friends, who dressed up as Disney fairies together. “Every single piece of my costume was made my me, including the jewelry,” said VanBuskirk. She has also created a Rapunzel costume for another friend, which took about 100 hours of work to finish, as it was the first costume she fully created, and there was a lot of trail and error involved. 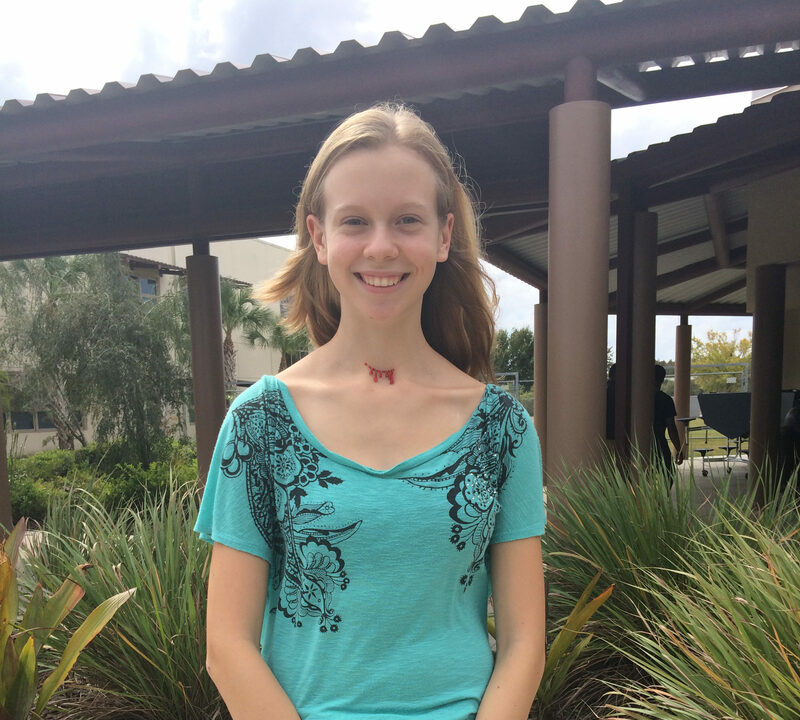 Kaylynn is considering majoring in historical costuming and pursuing her love for design and costuming in the future. Her love and talent for the art of costuming is inspirational to everyone who enjoys art and theater.